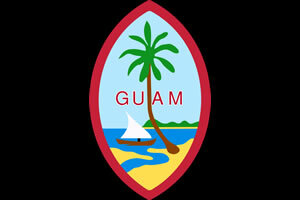 The gay marriage debate has scattered across the Pacific and reached the shores of Guam, a U.S. territory, NBC affiliate KUAM News reported. The Guam Youth Congress, an advisory body to the Guam Legislature, first introduced a civil unions bill that would grant gay and lesbian couples all the rights and obligations of heterosexual married spouses in June, bill 138. “It's like applying for a driver's license,” he added. Despite Cruz's compromises with the church, Archbishop Anthony Apuron called the new bill an affront to marriage. A public hearing on the domestic partnership bill drew a standing-room only crowd last month. Opponents and proponents of the bill waited patiently for hours to testify. Roy Burk, pastor of Life in the Son Christian Fellowship Church, said that as an African American he was “sickened” by comparisons between the gay rights and civil rights movements. “Bill 185 [the domestic partnership bill] would server to legitimize lifestyle preferences which are a threat to family and society,” he said. “[The bill] will undermine the traditional institution of marriage,” Archbishop Apuron testified in a written statement. “I listened to those arguments [presented at last month's hearing] and came up with this bill 212 and I hope it's a compromise where both parties are satisfied,” Espaldon said. While Democrats hold a 2-to-1 majority in Guam's single-house Legislature, prospects of passage for the bill remain unknown.